GAH! Disturbing. 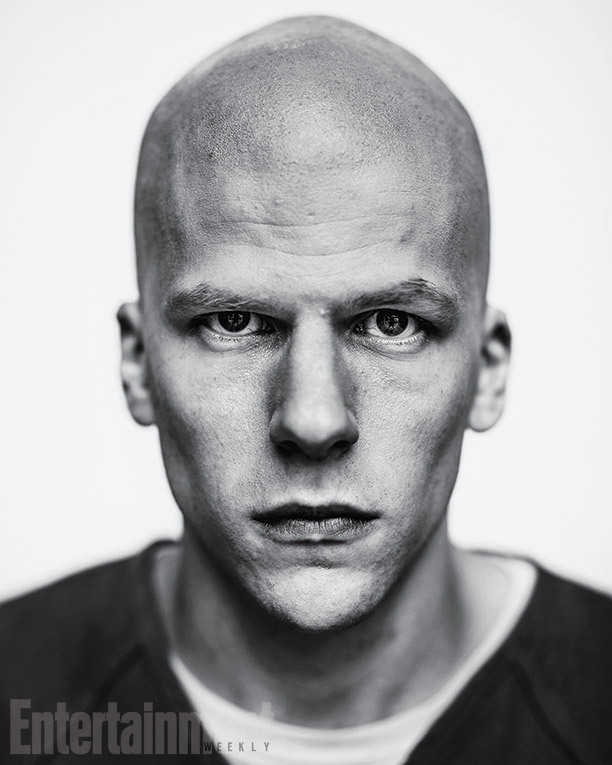 From that bastion of cinematic news, Entertainment Weekly, comes the first image of Jesse Eisenberg as Superman’s main foil for the upcoming Batman V. Superman: Dawn of Justice (I still can’t get over the “v” instead of “vs.”….it makes it sound like the most awesome legal case of all time). He certainly is bald, yes, as Lex Luthor often is. And let’s be serious, he can definitely play the conniving smart guy, as evidenced in The Social Network. But that voice, man. It worked as Mark Zuckerberg, a frail computer programmer, but as a billionaire supervillain? I’m not sold. Thoughts? Fears? Inner desires? Batman will cross-examine Superman on March 25th, 2016.